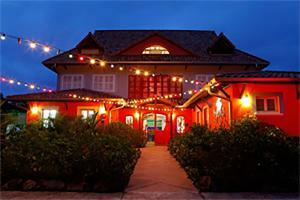 Escape to this enchanting Creole-style hotel that embraces the vibrant colors of Martinique. Intimate, boutique-style accommodations offer modern suites and charming villas nestled in a lush landscape. Experience personal, attentive service and fine dining. Spend a luxurious afternoon swimming in the hotel's infinity pool and lounging on the spacious sundeck. Colorful contemporary artwork throughout lends a playful energy.